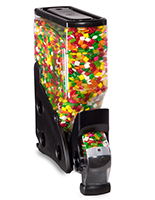 Create a striking display that is sure to satisfy your next customer's sweet tooth with an assortment of candy dispensers. 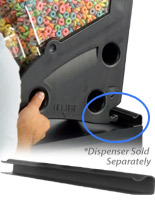 These gravity loaded bins come in an assortment of shapes, sizes and styles to complement your storefront's design and store large volumes of candy. 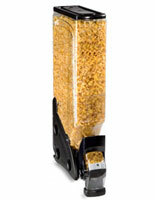 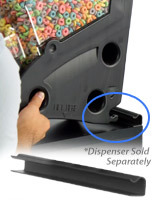 With food-grade construction, these sweets dispensers will keep your hard or gummy candies fresh out-of-the-package, and easily accessible to shoppers for bulk purchases. 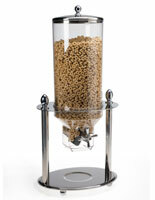 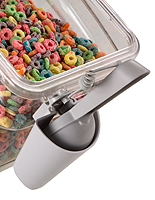 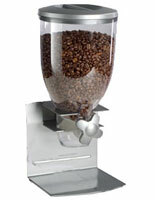 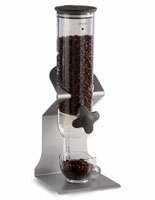 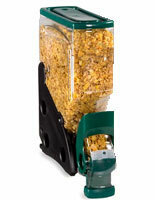 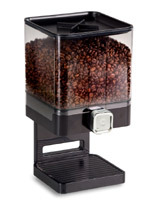 Mount the containers on the wall, or purchase one with a rotating stainless steel stand to perch on the countertop. 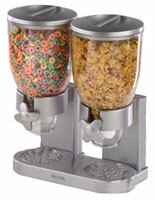 If you're an ice cream shop, these candy dispensers work perfectly to hold sprinkles and other sundae toppings behind the counter. 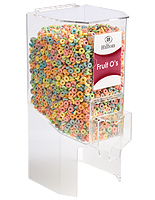 If you run a supermarket or candy store, purchase one with a sign holder to easily label the type of candy or the price-per-lb. 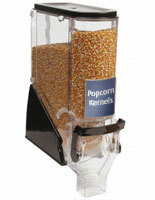 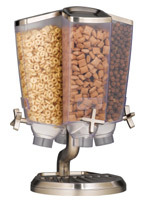 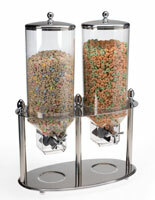 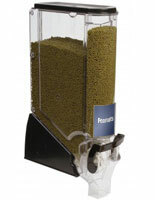 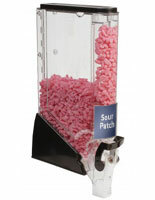 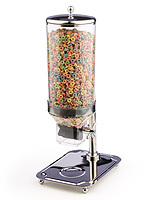 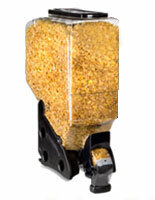 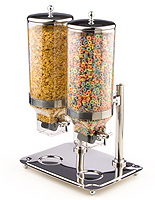 Caterers will even use these candy dispensers as an accessory to the desert course or for mint candies. 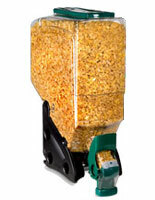 Browse these bins, check out their specifications, and choose the ones that make the most sense for you today!